Potty training your sweet, new puppy can be one of the most frustrating and troublesome parts of taking in a furry friend, especially when your puppy mistakes your clean carpet as a nice patch of grass. Your furniture and your floors will be in a constant state of danger during this stage of training, a little patience and carpet cleaning knowledge can help ease the process. If your new furry friend can’t seem to learn the difference between grass and your carpet, the first thing to do (after teaching your dog a lesson) is to treat the stain immediately. If you are lucky enough to catch the stain while it is still wet, then try and soak up as much moisture as possible with paper towels. Don’t rub the spot, instead just drop the paper towels onto the spot and press down firmly. Remove the paper towels and do this again with fresh towels; you may have to repeat this process a couple of times to ensure you get all of the moisture out. 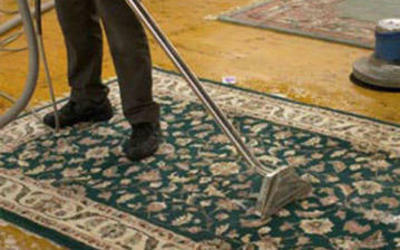 Lastly, you will need to rinse the carpet with cool, clean water. 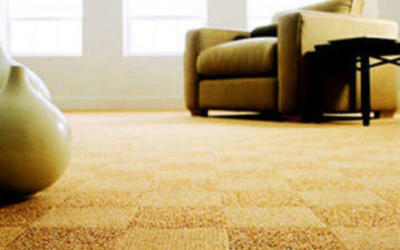 The water should flush through the fibers on the floor, and not just coat the top of the carpet. Once you’ve rinsed the carpet, you will need to soak up the moisture again using paper towels, a clean dry towel, or if available, a wet vac. Now, sometimes our pets get a little more creative and find discreet spots to relieve themselves on our carpets. If you somehow missed a spot and the stain has set in, it will be more difficult to remove the stain completely by yourself, and is typically best to call a professional cleaning company that is experienced and knowledgeable with removing set in pet stains. 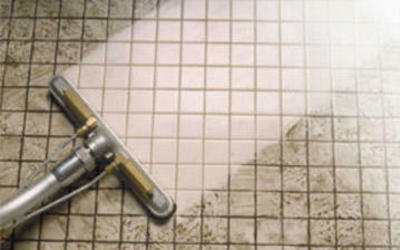 Often times, carpet companies have tools and cleaning products that far surpass what we could ever do. 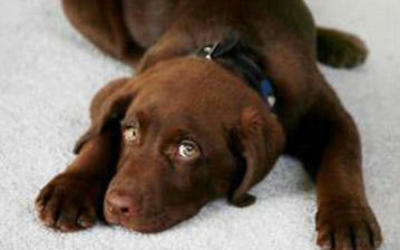 Pet stains can be the worst thing to happen to your carpet, but rest assured, they don’t have to be permanent. Fast action and proper care can save your carpet while you go through that tough potty training process, ensuring you won’t hold any hard feelings against your sweet new friend.